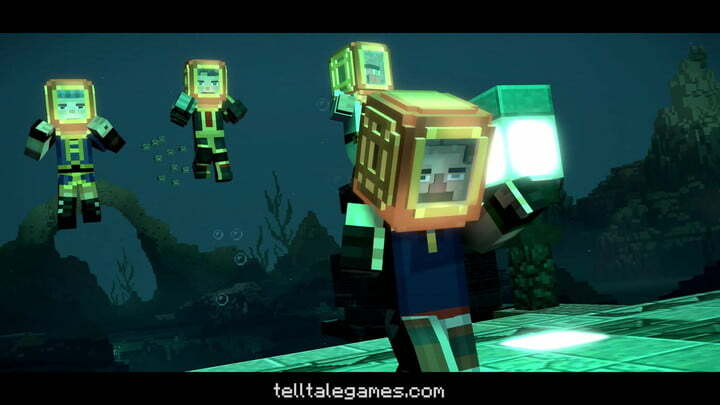 Fusing the deeply open-ended gameplay of Minecraft with the scripted narratives of Telltale Games’ adventures seemed like a mismatch when it was first announced, but that’s exactly what we got in 2015 with Minecraft: Story Mode, and the results were surprisingly charming. Its second season debuts today with the first episode, Hero in Residence. 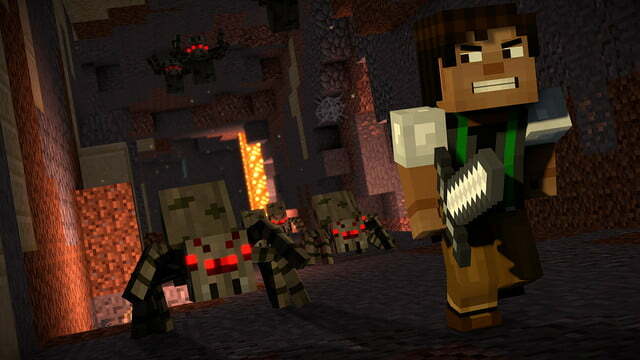 Check out our thoughts on the series premiere in our Minecraft: Story Mode Season 2 review. Season two of Story Mode picks up where the last one left off. 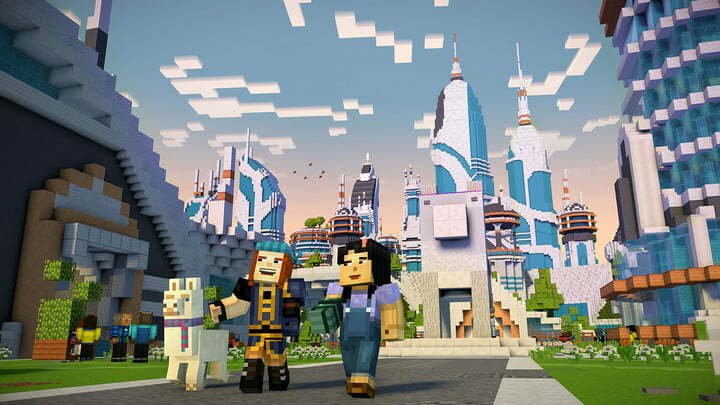 The first game’s protagonist Jesse (a scrappy young builder voiced by Patton Oswalt or Catherine Taber) and friends have successfully defeated the rampaging Wither Storm, restoring peace to the blocky world of Minecraft. Having completed their journey from zeroes to heroes, the gang now finds its desire for adventure to be increasingly at odds with the newfound responsibilities that come with being respected leaders in their community. Jesse is particularly busy as the founder and mayor of Beacon Town. This question about precision vs. creativity sets up a similar thematic dynamic to The Lego Movie. Adventure calls, however, as it tends to in these situations, breaking Jesse et al. out of their golden handcuffs to protect the world they’ve helped to shape from new threats. These rising menaces include Beacon Town’s neighbor, Champion City, and its meticulous and self-aggrandizing leader, Stella, who tightly controls what everything looks like. Stella’s rigidity about building serves as a sharp contrast to the anarchic, builder-centric creativity of Beacon Town. This question about precision vs. creativity sets up a similar thematic dynamic to The Lego Movie, which had Emmet and Wyldstyle rebelling against the regulated designs of Lord Business. More serious is the threat posed by an ancient relic Jesse finds early in the episode, which sends Jesse and his friends on a quest to restore balance and quell a mysterious danger from underneath the earth. This journey sends them on a collision course with the Admin, a legendary figure who supposedly created the very world in which they live. The world-building brings to mind 90’s cartoon ReBoot, which followed the sentient virtual denizens of someone’s computer. 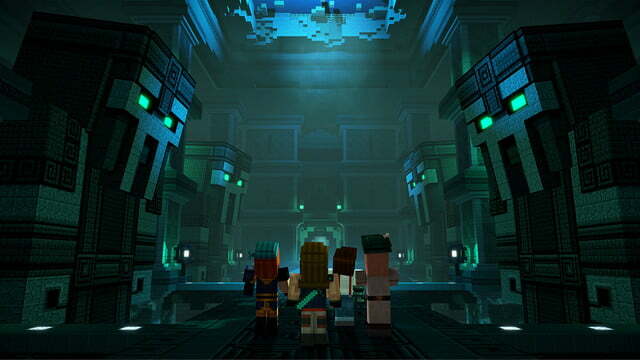 Much of what made the first season of Minecraft: Story Mode work returns here. The cast, which includes comedians Brian Posehn and Patton Oswalt (if you pick the male Jesse), returns, and is just as charming as in the first season. Unfortunately, your pig companion Reuben did not survive to the end of the previous season, so he is absent here. A new animal companion, an ornery llama picks up the “animal friend” mantle, but is hardly a substitute for the cute and loveable Reuben. 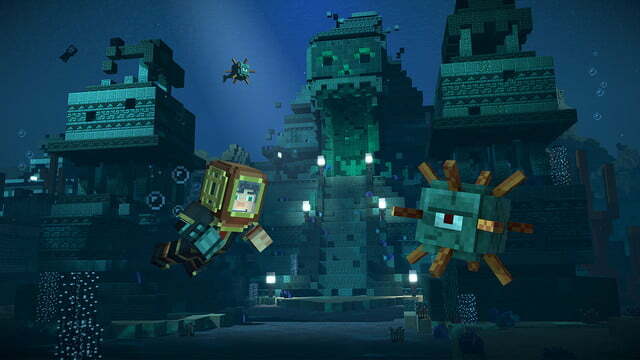 Unlike the many Telltale series that adapt narrative media with established characters and stories, such as The Walking Dead, Game of Thrones, or Batman , Minecraft: Story Mode has given the team a relatively blank slate with which to create their own world. The result is grounded in the familiar for Minecraft fans, with all sorts of in-jokes and references to the game, and even appearances from popular streamers as characters like Stampy Cat and stacyplays (as themselves), but it still feels broadly accessible. Minecraft: Story Mode Season 2 does very little to mix up the Telltale formula, which is a mark for or against it, depending on who’s asking. Fans of the studio’s other titles will feel right at home, with a largely linear narrative that offers a few (often cosmetic) choices and periodically drops the ominous warning that a character “will remember that.” There’s an opportunity to freely build a statue for a friend, and a few puzzles you solve using the crafting bench, but none of the signature creativity from the original game has any real bearing on the story. These additions feel somewhat tacked on, however. Though Minecraft serves as a colorful setting for the game, Story Mode never really manages to bridge that fundamental gap between Minecraft‘s signature open-endedness and Telltale’s narrative model. 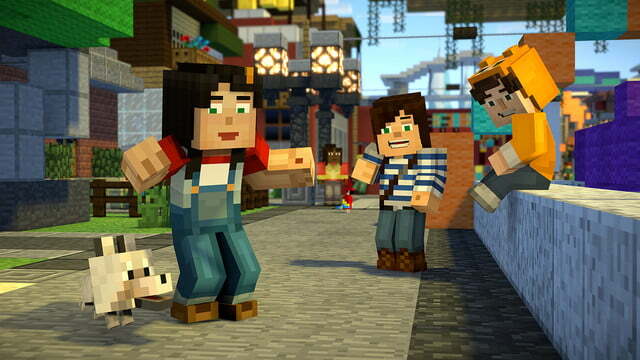 Minecraft: Story Mode Season 2’s audience will be largely self-selecting. Anyone that enjoyed the first season will be happy for more. Fans of Minecraft and/or Telltale Games at large who did not play the first episodes could certainly jump in with little to no context and follow along easily, but they would be better served by going back to the original first and catching up. This doesn’t innovate on the studio’s well-worn formula at all, and won’t be the Telltale adventure to lure in an unconvinced gamer.